We haven't met our goal to sell 100 DVDs to raise money for Gold Star Marine Corps Mom Roberta Kilpatrick. Half of all DVD sales will be donated for her trip to honor her son in Run for the Fallen. Let's get Roberta to Alabama! Buy some DVDs. 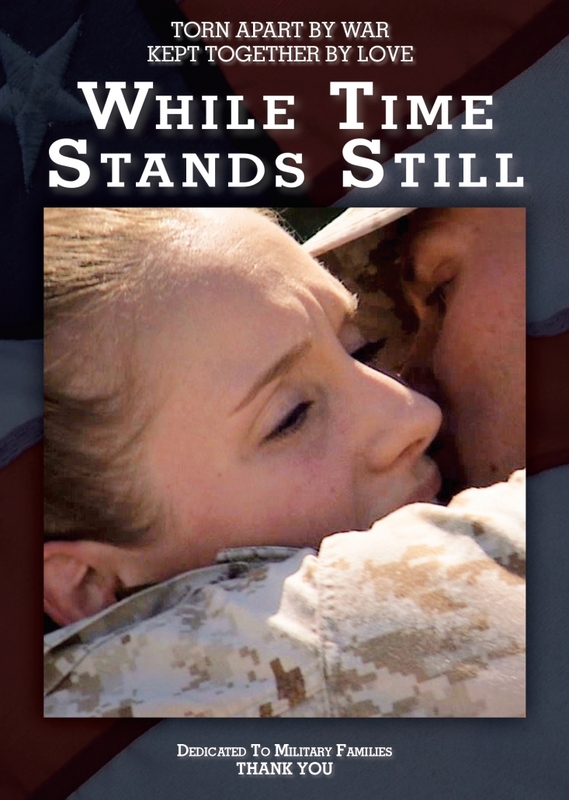 An inspiring documentary about love, courage, and sacrifice, While Time Stands Still tells the gripping story of America's Military Families during war. Filmmaker Elena Miliaresis shares her own experience as she follows two wives. As these young women navigate the challenges that come their way, they not only find the strength to survive, but also discover their own self-worth. Five years in the making, with over a hundred interviews from Families of all branches, this riveting film is the journey to healing of America's brave Military Families.